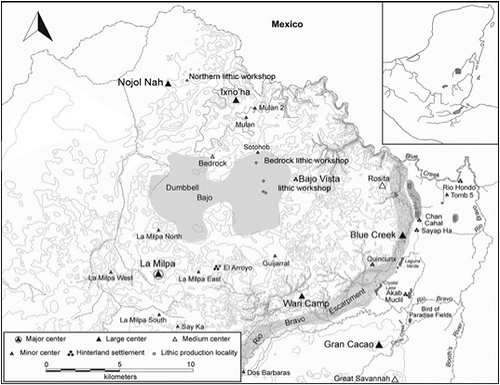 The Maya site of Nojol Nah is located on the east side of the Bajo Alacranes (see maps below), which extends across Belize’s northwest corner and parts of Mexico and Guatemala. The Alacranes Bajo is a low-lying area that is very fertile and continues to be today. 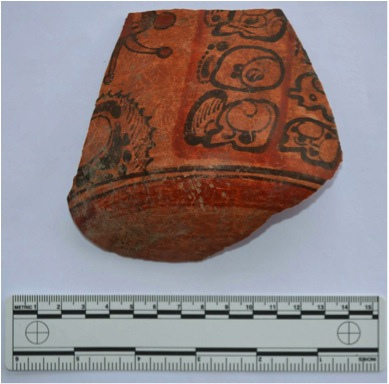 The Mexican portion has been surveyed in recent years, revealing several large Maya centers and a number of smaller centers. At the far south end of the bajo, in Guatemala, is the major center of Río Azul. Ongoing survey work in Belize has revealed that a number of small centers with central precincts are located on the east side of the Bajo Alacranes, including such sites as Grey Fox, Xnoha, Nojol Nah and others. 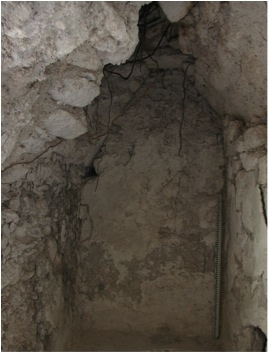 Nojol Nah consists of a small public precinct with a single 10- meter tall pyramidal structure (“Structure 1”) on its west side that was constructed in the Late Preclassic (400 BCE – 200 CE) and Early Classic (200 – 600 CE) periods and was terminated at the end of the Early Classic period. In addition, the site contains several elite residential patio groups and one stand-alone elite residence adjacent to the public precinct. A residential patio group is where two or more structures, potentially housing multiple family units, face a shared patio or courtyard. These elite residences were constructed in the Early Classic period and abandoned in the Late Classic Period (600 – 900 CE). 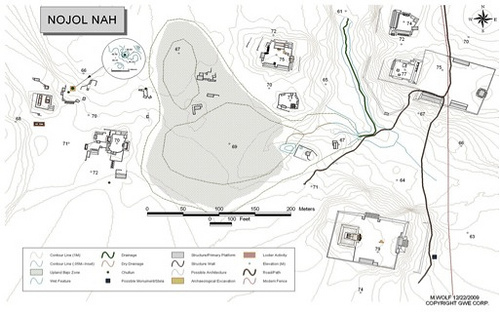 To date, work at Nojol Nah has included the excavation of sixteen residential structures, a civic temple, four chultuns, numerous caches, three termination deposits, elite household middens (that produced sherds with glyphs), and an unusually large number of human burials — totaling 67 thus far. Nojol Nah, and other nearby sites such as Tulix Mul, Grey Fox, and Xnoha, are all significant due to their size and strategic location on the Alacranes Bajo. 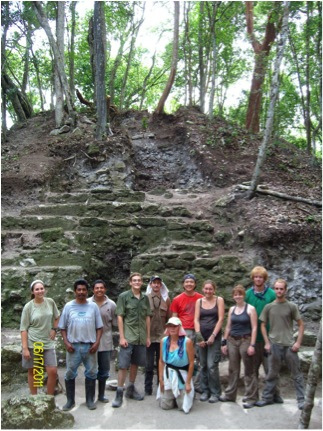 Far beyond the traditional focus of studying the monumental architecture and life-ways and history of the Maya royalty and Maya kings, the excavation and research of these sites will help us to more fully understand the overall nature and pattern of the Maya city and landscape, the economy, and royal elite, non-royal elite and non-elite interaction, all toward constructing a more comprehensive view of Maya civilization in this part of the Maya world. 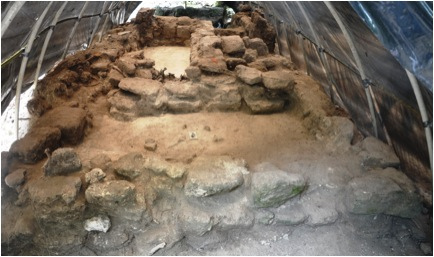 Research will also shed new light on the nature of the so-called Terminal Classic “collapse” and subsequent abandonment of the area (and Post- classic reoccupation). 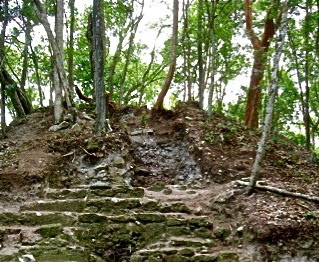 Unfortunately, just as the Maya farmed this area extensively in the past, the modern inhabitants of the area are also intensively farming the area (and converting this land to cattle pasture). Due to modern technologies (bulldozers, etc) the negative impact on the natural and cultural resources is severe. 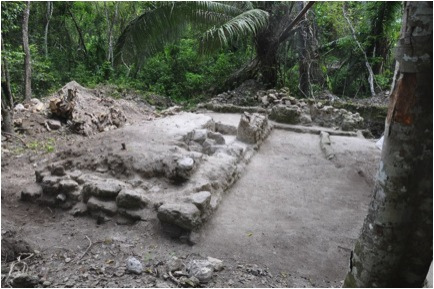 Nojol Nah, among other sites, is in immediate danger of being destroyed before the site can be sufficiently studied and its cultural resources conserved as an important part of Maya heritage. Among its objectives, the MRP (Maya Research Program) is focusing additional effort on raising funds to purchase the land on which Nojol Nah sits, and thus protecting it from destruction. MRP conducted a similar, and very successful, campaign for the site of Grey Fox. If you are interested, please consider donating and “adopting” Nojol Nah as your own by clicking here, or by clicking on the donate button below. See the webpage for information about the benefits you will receive for your donation.